The California Department of Education (CDE, 2010) has defined English Language Development (ELD) as instruction that is “designed to help them (English Learners, or ELs) learn and acquire English to a level of proficiency (e.g., advanced) that maximizes their capacity to engage successfully in academic studies taught in English,” (p. 23). Instructional Services provides training for teachers (K-12) that focuses on the CDE’s “Guidelines for ELD Instruction” (2010, p. 27). Topics include structuring student interaction; emphasizing listening and speaking to build reading and writing; explicitly teaching English vocabulary, syntax, grammar, functions, and conventions; integrating meaning and communication; providing corrective feedback on form; implementing communication and language-learning strategies; emphasizing academic language acquisition; and basing instruction on specific language objectives. The training is 12 hours and includes principal coaching. It is customized using the district’s adopted ELD curriculum and by grade level (elementary, K-5, or secondary, 6-12). 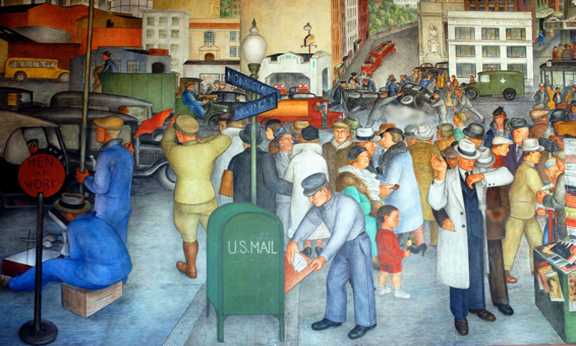 LAUSD Language Acquisition: The CA Treasures ELD program provides an outline for the ELD Unit Writing in the Unit Opener and an Oral Presentation based on the writing in the Unit Closer. The program as written does not include the pacing of the ELD Unit Writing within each unit planner, nor does it provide oral language supports. In response to the need for support from the field, the Multilingual and Multicultural Education Department developed ELD unit writing lessons for grades 1-6. The National Clearinghouse for English Language Acquisition: The National Clearinghouse for English Language Acquisition collects, coordinates and conveys a broad range of research and resources in support of an inclusive approach to high quality education for ELLs. Thinking Maps®: Thinking Maps, developed by Dr. David Hyerle, are visual teaching tools that foster and encourage lifelong learning. They are based on a simple yet profound insight: The one common instructional thread that binds together all teachers, from pre-kindergarten through postgraduate, is that they all teach the same thought processes. SDAIE is a methodology (a set of specific strategies) designed to make instruction comprehensible and grade-level academic content accessible for English learners (ELs). Are the major concepts and skills identified? Does my lesson delivery support the content and language objectives? 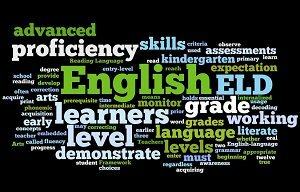 Do my scaffolds meet the language proficiency needs of my English learners? DoI select text and other materials that make content clear and meaningful to English learners? Do I link concepts and skills to English learners’ experiences? Do I select and elicit examples from students’ lives that illustrate key points? hypothesizing, organizing, categorizing, drawing conclusions, etc.? aspects, and reviewing related past learning? Do I organize content so it is related from lesson to lesson? Do I select text and other materials that make connection with previous learning? Do I control the range diversity of my vocabulary? Do I control my use of idiomatic expressions? Do I teach and write idiomatic expressions and use them in a consistent manner? Do I repeat and write new key words and expressions? Do I use many different examples to teach new concepts? Do I use extra linguistic clues to facilitate student comprehension? Do I use many and varied clues? Do I make one-to-one correspondence between the clue and the concept being taught? Do I repeat clues as needed and requested? Do the clues I select illustrate the concept clearly? Do I check for comprehension frequently and effectively? Is the feedback I offer immediate, specific, and related to the lesson concepts? Do I use a variety of methods to check for comprehension? Do I allow students to clarify key concepts in languages other than English? scaffolds such as sentence frames / starters? Do I offer positive feedback?